Lets’ face it, everyone at some point in time, is going to have hurt feet. Chances are, your feet are currently hurting or recently have been hurting. However, there is a more common foot problem that many of us are experiencing but we don’t know what it is. I’m talking about Plantar Fasciitis. If your feet hurt and can’t explain why, it may be plantar fasciitis. Keep reading to find a great plantar fasciitis treatment to treat your heel pain. Plantar fasciitis is a micro tear in the tissue bands underneath our feet that starts towards the heel connecting to the metatarsals. 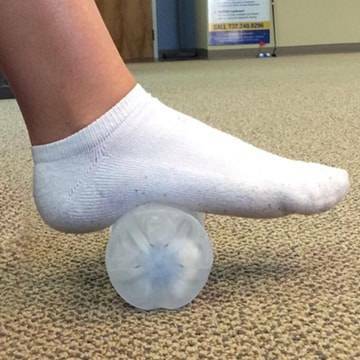 With a great plantar fasciitis treatment regiment, you can reduce and even eliminate heel pain. But before we look at plantar fasciitis treatment, let’s understand what are some common symptoms of plantar fasciitis. Common symptoms that may indicate you have Plantar Fasciitis is pain underneath your feet when you first take that step out of bed, or when you stand up after sitting for a short period of time. Granted, plantar fasciitis can develop on one foot or both. If diagnosed early enough, you can prevent it from getting worse which can help avoid getting surgery. All things considered, how do you address heel pain with a good plantar fasciitis treatment? What is a good plantar fasciitis treatment? When dealing with plantar fasciitis, one of the main key ingredients to reducing or eliminating heel pain is by supporting your arches with good arch supports. Before we get started with arch supports, understand that not all arches in your feet are not all the same, so understanding your feet can help you choose the best arch supports. For example, if you have high arches, Lucky Feet Shoes’ offers over the counter dress orthotics that are great for high arch support. This is because the dress orthotic is rigid to offer maximum support to keep your high arches from bending thus irritating the tissue bands. By keeping your arches stable and supportive, you prevent the tissue bands underneath your feet from becoming irritated which causes Plantar Fasciitis. Therefore, if you already have plantar fasciitis, the arch supports will keep the tissue bands from flexing and getting worse. The arch supports will be a primary method to help with the healing process. Since most of our feet are not equal in arches, it is recommended to get custom orthotics made specifically for your arches. 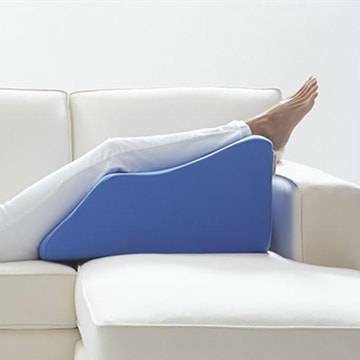 This ensures optimal support and comfort in your daily activities. 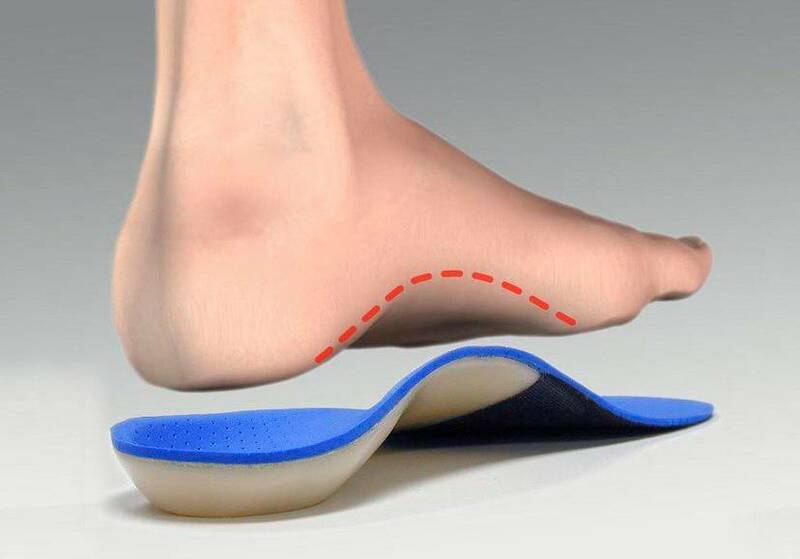 Lucky Feet Shoes offers custom-made orthotics which are typically good for up to 5 years. During your first year of purchasing a custom orthotic thru Lucky Feet Shoes, we offer free modifications to ensure you maintain healthy feet. The healing process for plantar fasciitis typically takes an average of 6 months if you follow the right plantar fasciitis treatments. One of the best plantar fasciitis treatments is a method called RICE which is an acronym. The “R” stands for Rest, “I” is for Ice, “C” is for Compression and “E” stands for Elevate. How can my Plantar Fasciitis heal quickly? Committing to the RICE method every day will help with a speedy recovery. Remember in the beginning we talked about arch supports? You will also want to have good supportive shoes to fit your arch supports in. You should get shoes with a removable liner to replace that with either you’re over the counter or custom orthotic. It is recommended to wear closed shoes as opposed to sandals so that you can keep your ankle movement in full control with the rest of your foot. The more that you can control the ankle, the fewer foot problems you will develop because the ankle is the central point to where our foot moves. In conclusion, great arch supports and good supportive shoes will help ensure a healthy lifestyle for your feet. Whether you prefer to shop online or instore, at Lucky Feet Shoes we have a large selection of shoes for plantar fasciitis. However, if you prefer personalized shoe fittings, great customer service, we have nine comfort shoe stores located in Southern California. Which are located in Costa Mesa, Anaheim Hills, Rancho Cucamonga, Riverside, San Dimas, Long Beach, Temecula, La Quinta, and Palm Desert. We invite you to stop by for a free foot analysis and try our shoes for plantar fasciitis. 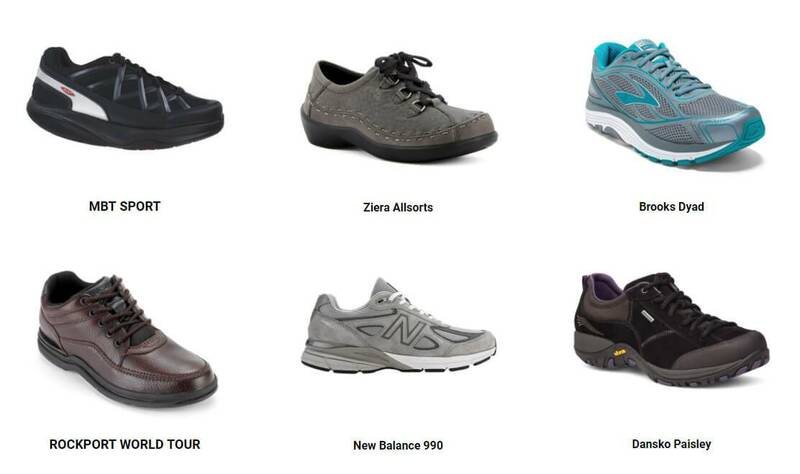 In addition, we have a large selection of comfort shoes, wide shoes, walking shoes, running shoes, arch supports, and custom orthotics! Therefore, we encourage you to shop in-store for our personalized customer service and free foot analysis! So, schedule a free foot analysis today!